You should. Move back and buy that jacket (so cool). I moved out to San Diego this past September for grad school and I simply adore the weather here. The scenery and food and people aren't bad either (except when those people are driving in rain). I do miss my NYC sometimes, but right now, I'm quite happy to be here. i find myself missing the produce, oh my, the produce! 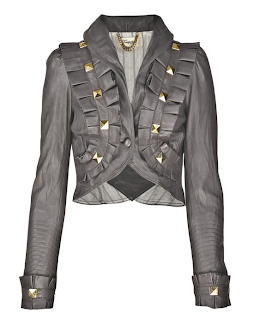 That is an amazing jacket...Love it!